Jacob W. Reby's practice involves structuring, negotiating, drafting, and closing a wide variety of real estate, corporate, and financing transactions. Jake represents developers, owners, users, institutions, and lenders. 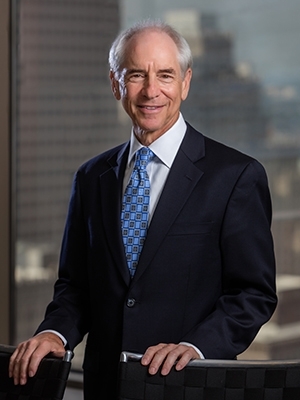 His clients are involved in shopping center, office, retail, hospitality, residential, energy, health care, multi-family, industrial plants, and redevelopment projects including site selection and zoning, incentives, acquisition of land and construction of infrastructure and buildings, sales and leasing activities, construction and permanent financing, and restructuring and workouts. Jake also serves as outside general counsel to several companies. He has successfully closed more than 100 corporate purchase and sale transactions, including several within the last year. 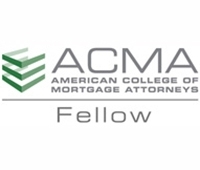 He is one of only four lawyers in Missouri to be elected a Fellow of both the American College of Real Estate Lawyers and the American College of Mortgage Attorneys. Jake is AV® Preeminent™ Peer Review Rated by Martindale-Hubbell, was selected by his peers for inclusion in The Best Lawyers in America® 2007-2019, and was selected for inclusion in Missouri & Kansas Super Lawyers® 2005-2018. In addition, he is recognized in The International Who's Who of Real Estate Lawyers for 2011-2018. Jake is a frequent speaker and author for bar association and industry groups.